Jones, James Boyd, Jr. “A Tale of Two Cities: The Hidden Battle Against Venereal Disease in Civil War Nashville and Memphis.” Civil War History 31 (September 1985): 270–276. Nashville and the U.S. Christian Commission in the Civil War, by Ralph C. Gordon. Summer 1996: pp. 98 – 111. This site contains Union, Confederate, and civilian primary documents. Reference excerpts from the John Hill Ferguson diary to read accounts by a Union soldier garrisoned at Fort Negley. A large number of slave and free African Americans fled to Nashville during the Union occupation. 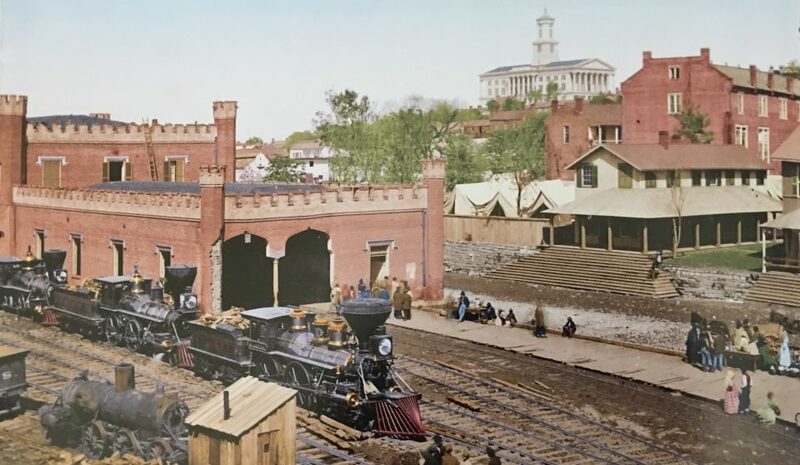 The Union Army impressed many to build fortifications around the city and some eventually served in United States Colored Troop regiments. The Freedmen Bureau, created by the U.S. government in 1865, documented many of the challenges they faced following the war. After accessing this site, click on “Tennessee” to find accounts related to Davidson County and Nashville.